Prof. Dr.-Ing. Adrian Riegel (*1965) studied from 1985 until 1991 mechanical engineering at the Technical University Karlsruhe. Afterwards he was six year employed as a scientific assistant at the institute for tool machines and production technologies of the University of Braunschweig. After having finished his Ph.D. thesis he was leader of the design department of the Leitner spa Italy and project manager for special tool machines for the automotive industry at Boehringer Werkzeugmaschinen, Göppingen. Since 2002 he is a professor for woodworking machines and woodworking technologies at the University of Applied Sciences Ostwestfalen-Lippe, Lemgo. 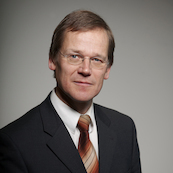 He is chairman of the committee FA 102 "Woodworking" of the Association of German Engineers VDI.